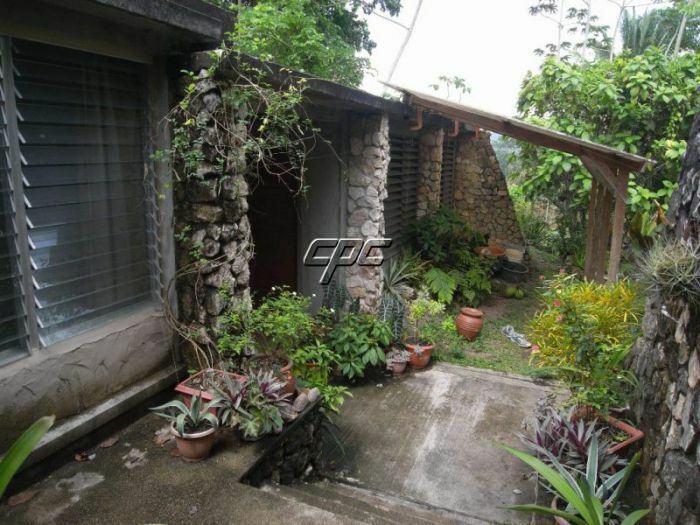 This lodge is one of the most beautiful properties in inland Belize. 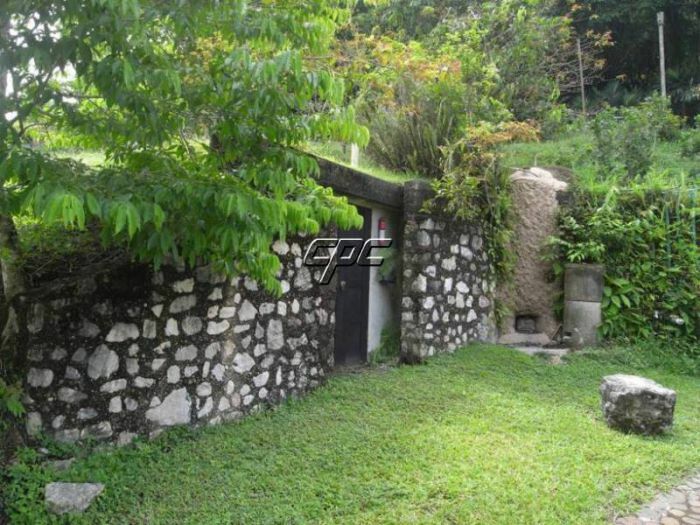 Located in the foothills of the Maya Mountains, it is 12 Miles from Belmopan, and although deep in the rainforest, the property is approximately 1 1/2 hours from the International Airport. The lodge includes 100 acres of prime forest with hiking trails, manicured lawns, 11 well designed cabanas surrounding the Maya site. 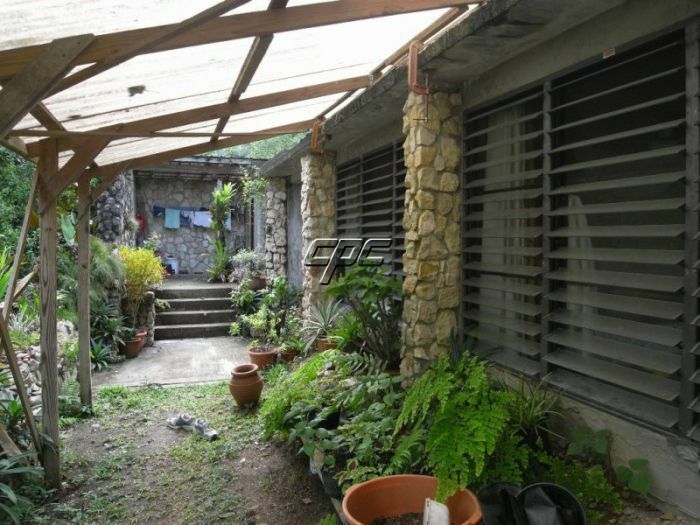 It is a rare opportunity to buy one of the leading jungle lodges in Belize. Situated within prime rainforest and walking distance from the well known ATM Cave, the lodge offers excellent business opportunities. 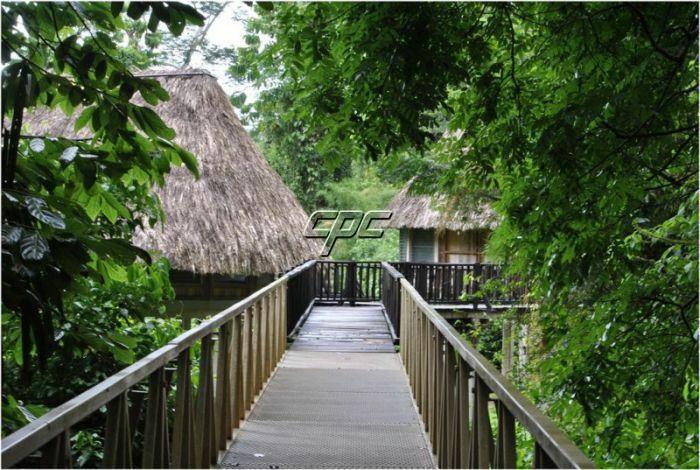 On the 100 acre forested property are 11 thatched cabanas and a main lodge that surround an ancient Maya Plazuela Group. The cabanas overlook the forest canopy and creek. During the 15 years of business, the lodge has gained a reputation for its unique location and first class service. The business includes accommodation, restaurant, guided hikes, river activities and operates tours throughout Belize. The property is adjacent to a 6,700 acre reserve and borders approximately 1 Mile of the Roaring River. 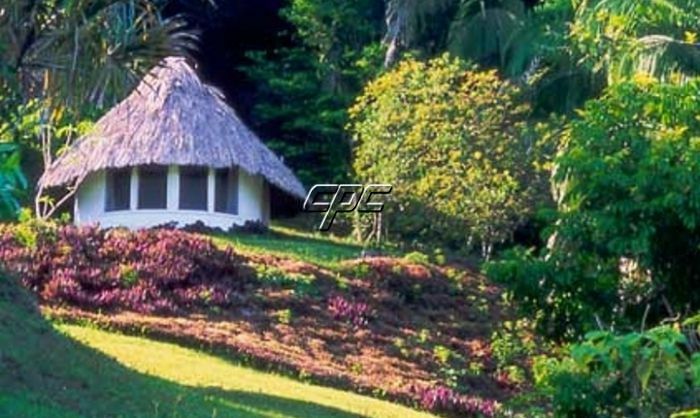 Each of the cabanas is equipped with a traditional thatch roof, private bathroom and electricity. Two of the larger cabanas are approached by 20' raised bridge over an all year around fresh water creek and walkway. 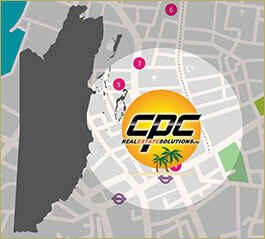 It is a very profitable turnkey resort. It comes fully equipped and furnished, all necessary equipment to run the business, 3 Vans, 2 Pickup Trucks, 2 Generators, 24 Batteries, and much more. Please contact me for more information on the premises today.